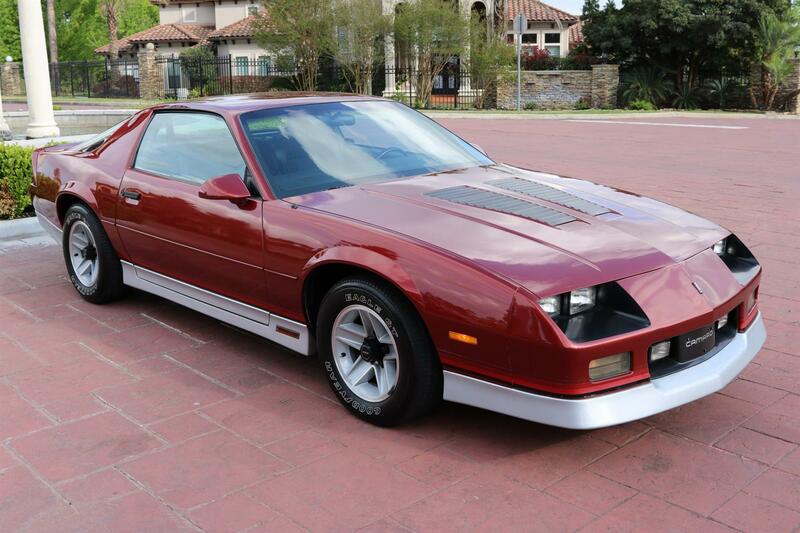 1986 Chevy Camaro Z28 – 305 V8, Auto, Tilt, Tint, Goodyear Eagle GTs, 100% Original, Only 29k Miles! 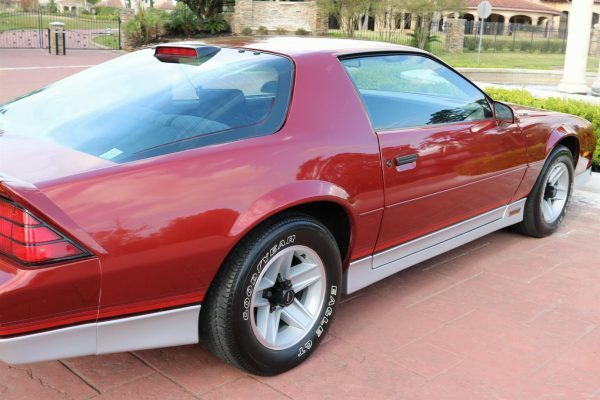 1986 Chevy Camaro Z28 – The third-generation Chevrolet Camaro was introduced for the 1982 model year by Chevrolet. 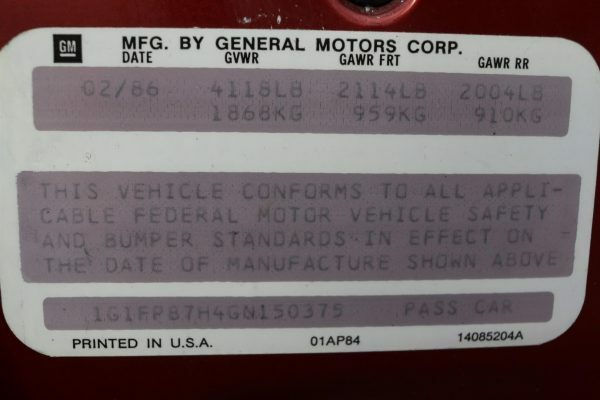 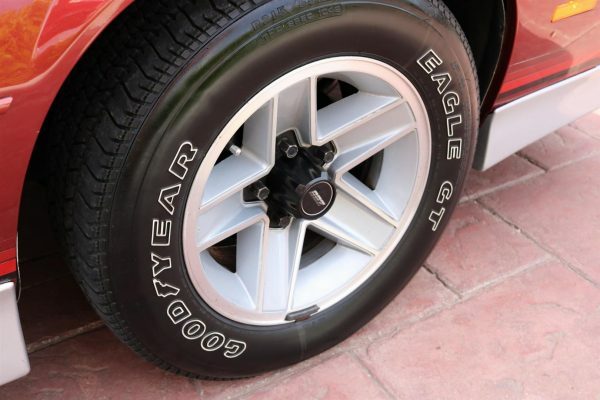 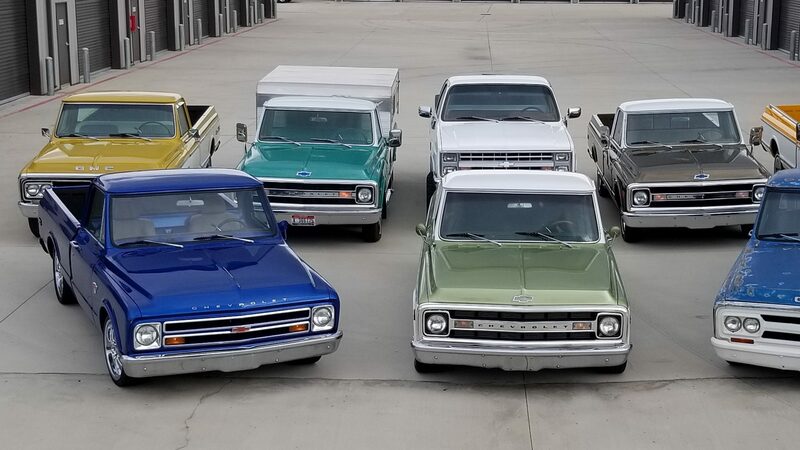 It continued to use General Motors‘ F-body platform and produced a “20th Anniversary Commemorative Edition” for 1987 and “25th Anniversary Heritage Edition” for 1992. 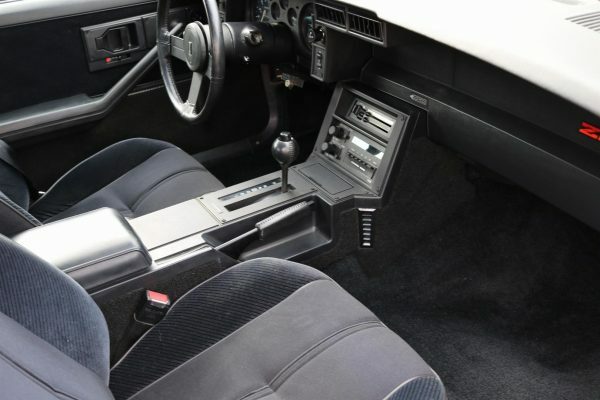 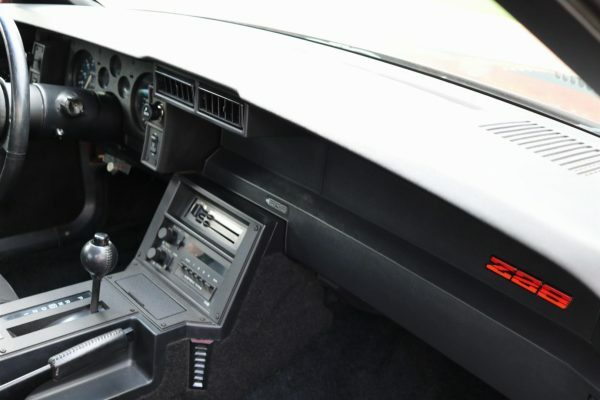 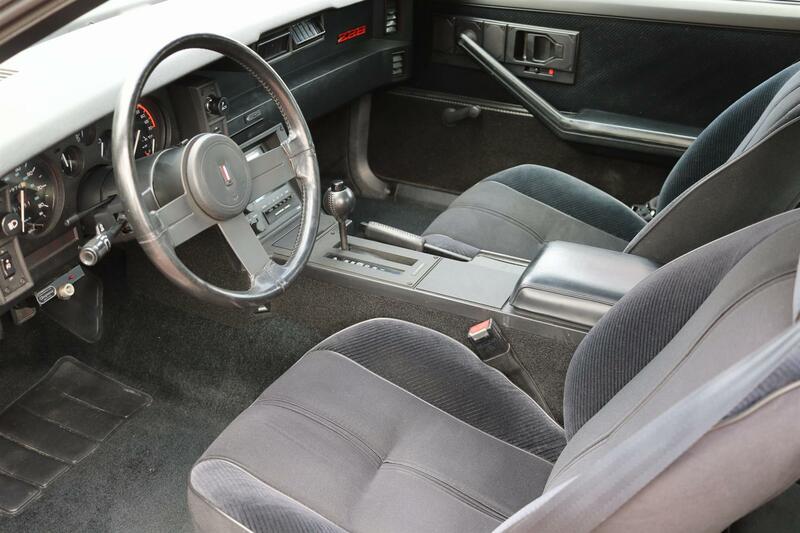 These were also the first Camaros with factory fuel injection, four-speed automatic transmissions, five-speed manual transmissions, four-cylinder engines, 16-inch wheels, and hatchback bodies. 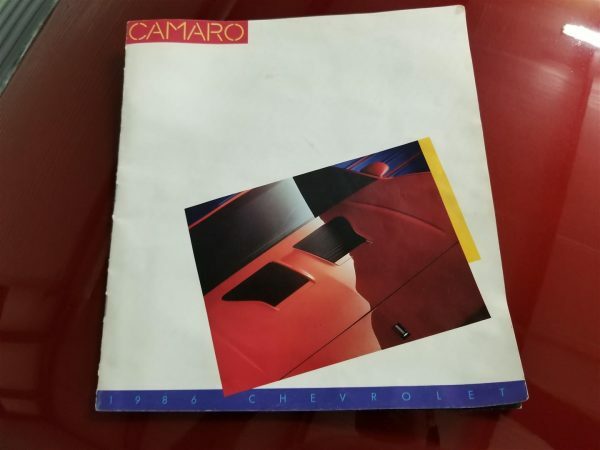 The Camaro’s design owed nothing to previous generations. 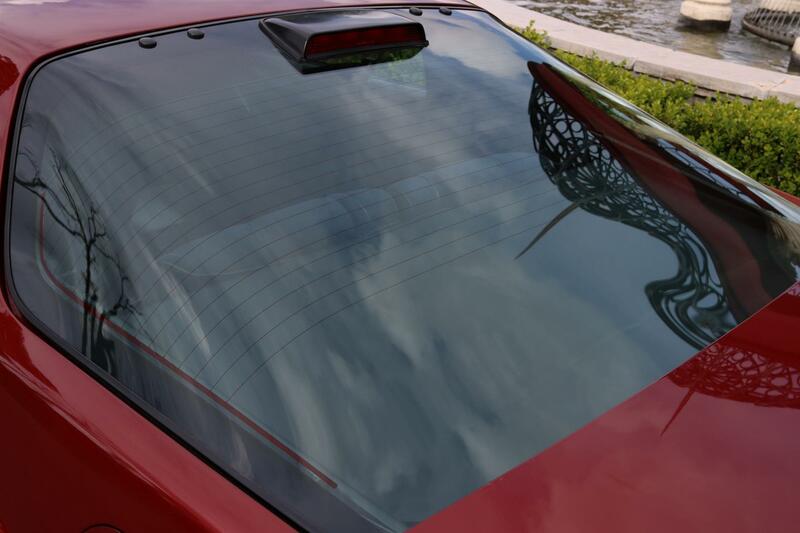 The large and complex rear window reflected recent advances in car glass design. 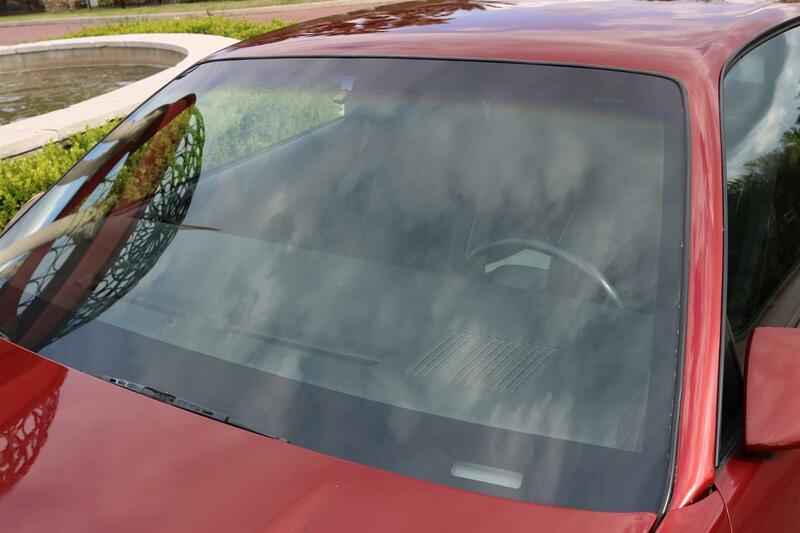 The front windshield reclined at 62 degrees, thus breaking an internal GM rule limiting such angles to sixty degrees. 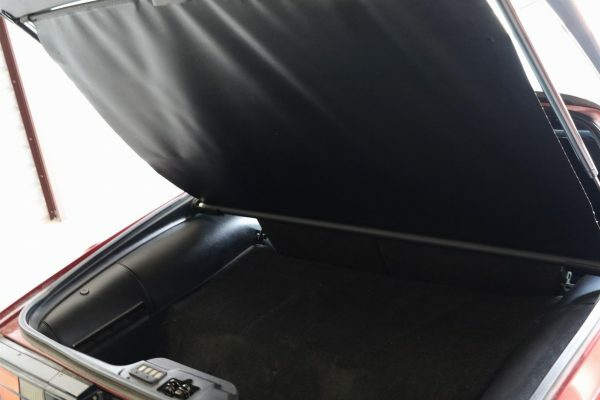 The rear seat folded down to expand the luggage compartment, which was accessed through a large rear hatch. 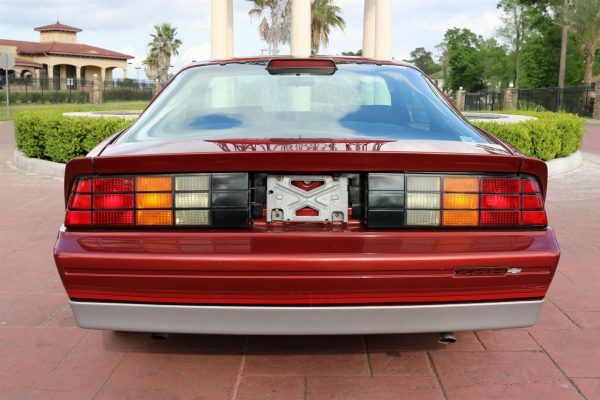 1986 saw a newly required Center High Mounted Stop Lamp (CHMSL) which was installed on the Camaro. 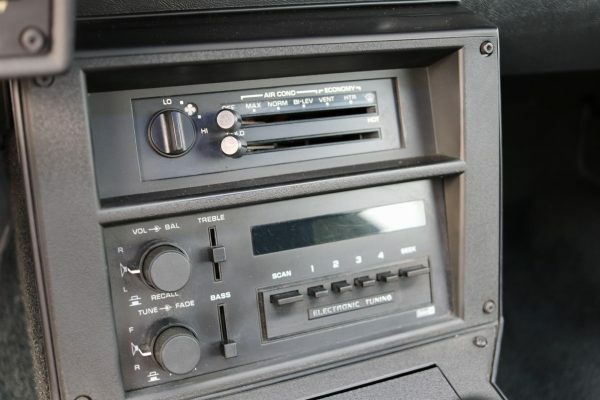 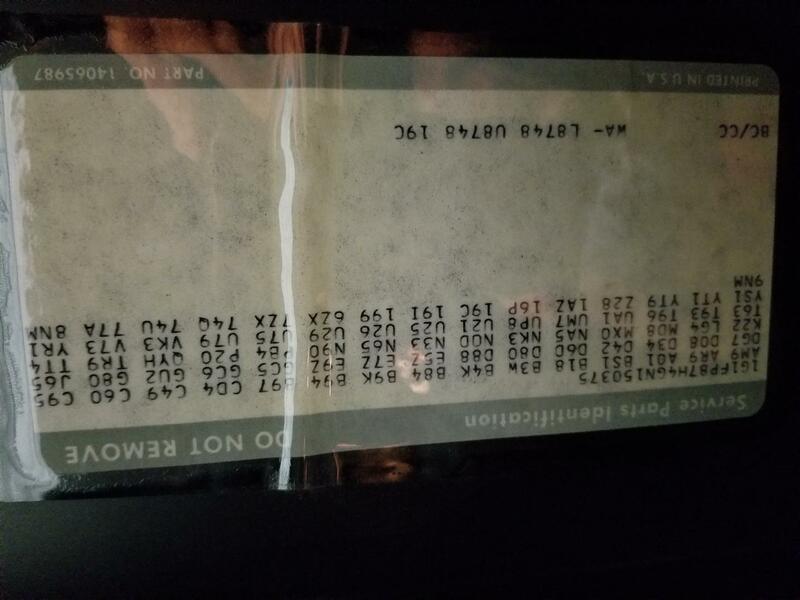 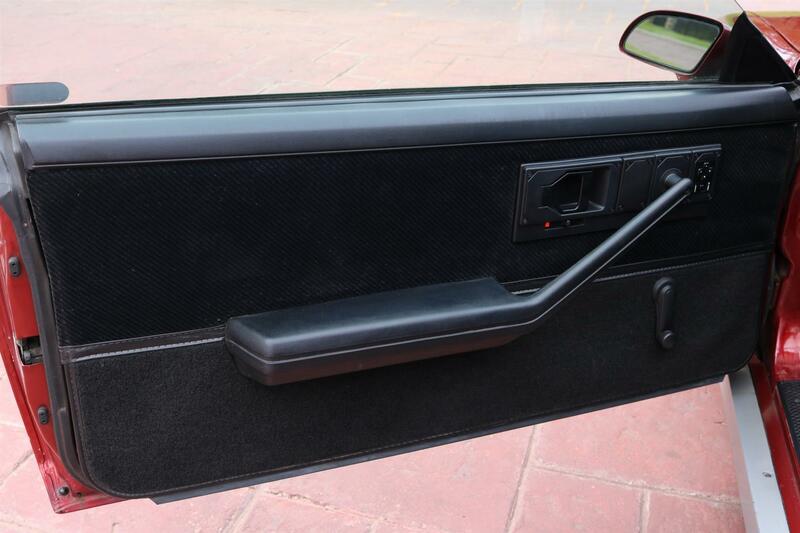 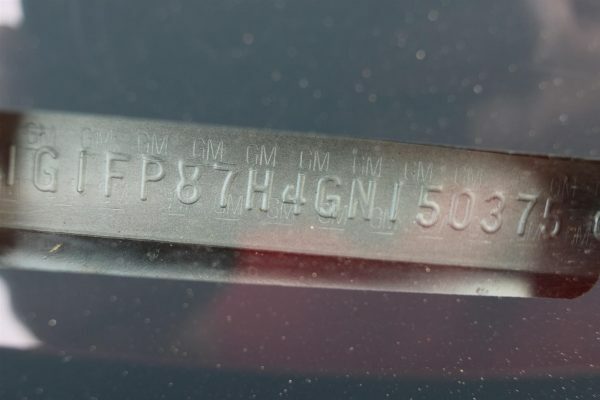 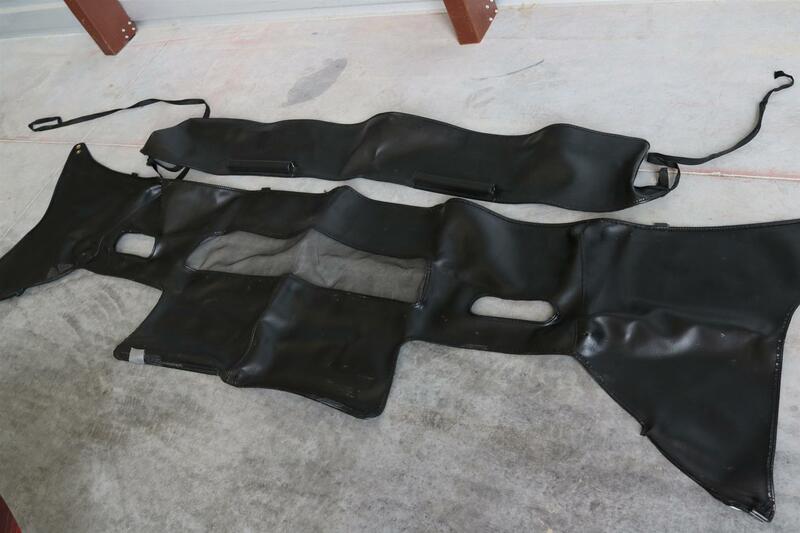 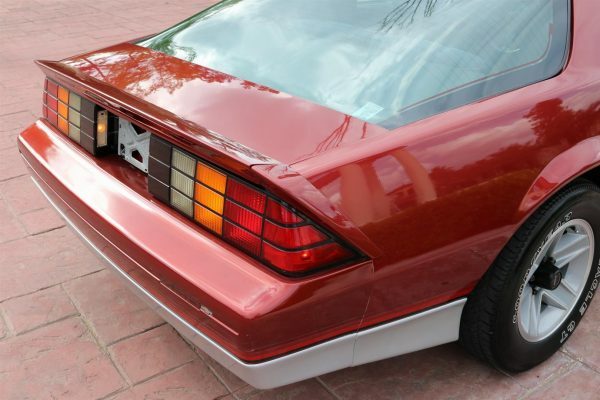 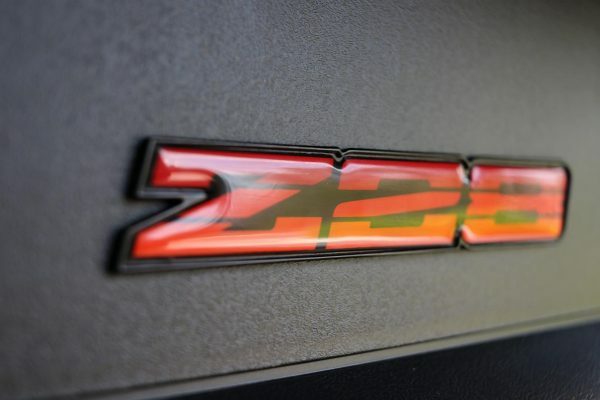 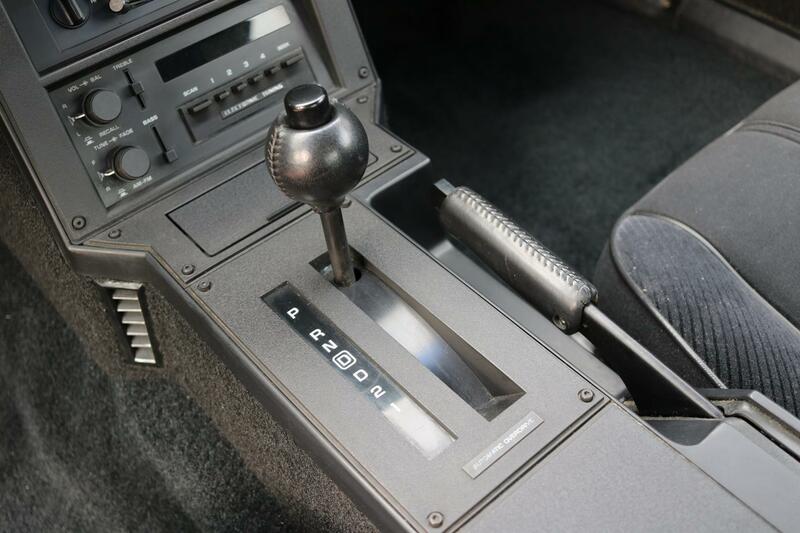 1986 was the only year to see this attached to the outside hatchback glass on base model Sport Coupes, Z28s and IROC-Zs except for 1987 base models that did not have a spoiler. 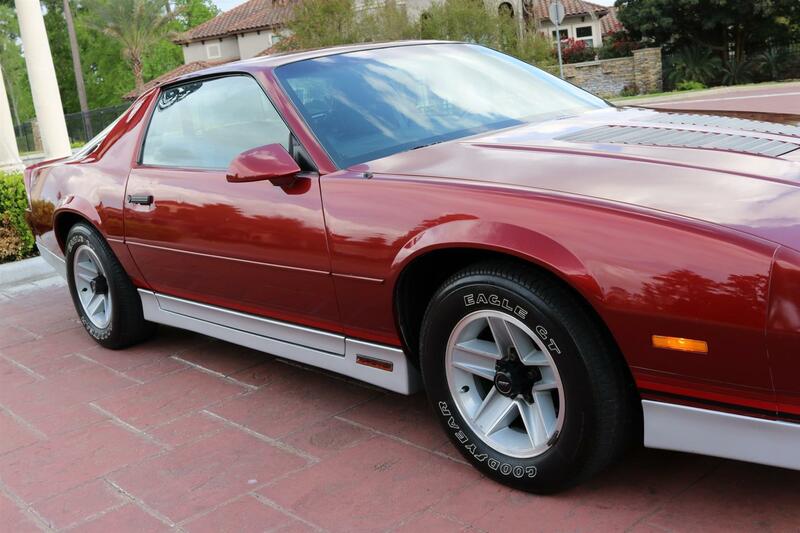 There really isn’t a cooler American Sports Car from the 80’s than a Z28 Sport Coupe. Everyone who owned one during that era misses them still and everyone with a friend who owned one is still envious. These Camaros have iconic good looks that are immediately recognized around the world. 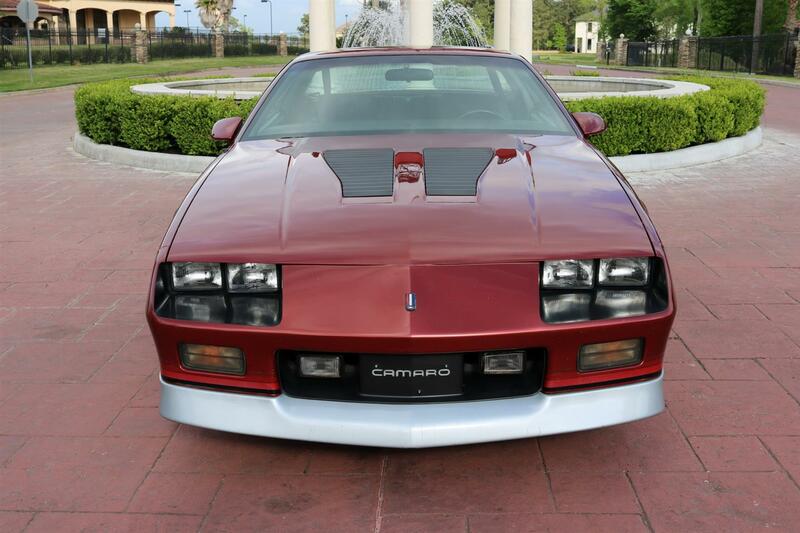 Amazingly some of these iconic Camaros, along with other 80’s favorites, were not used as daily drivers. 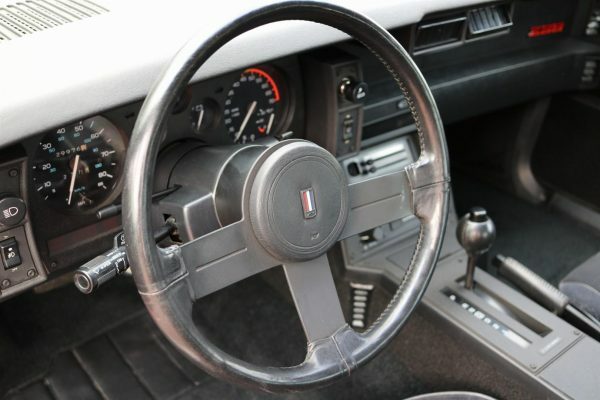 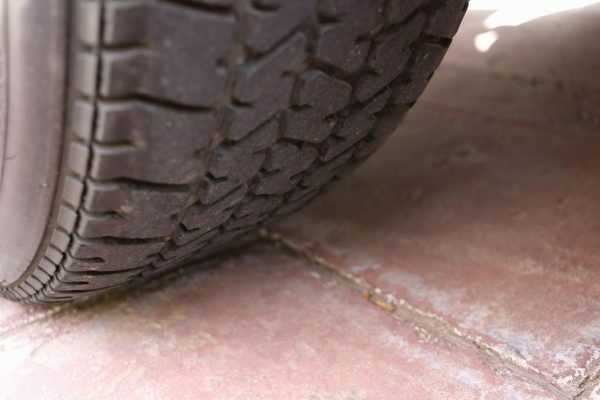 Instead they were second vehicles and weekend cars that were very well maintained by their caretakers. 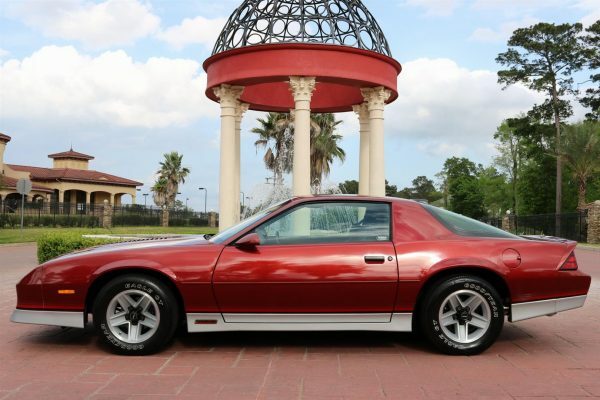 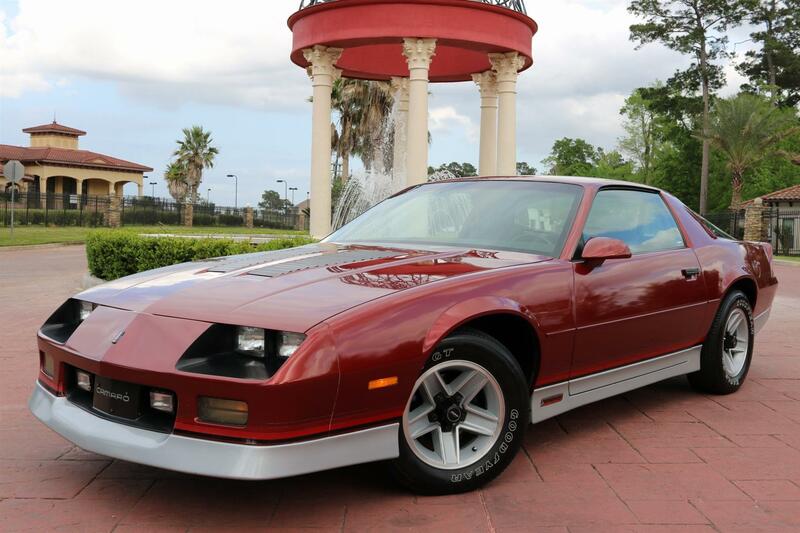 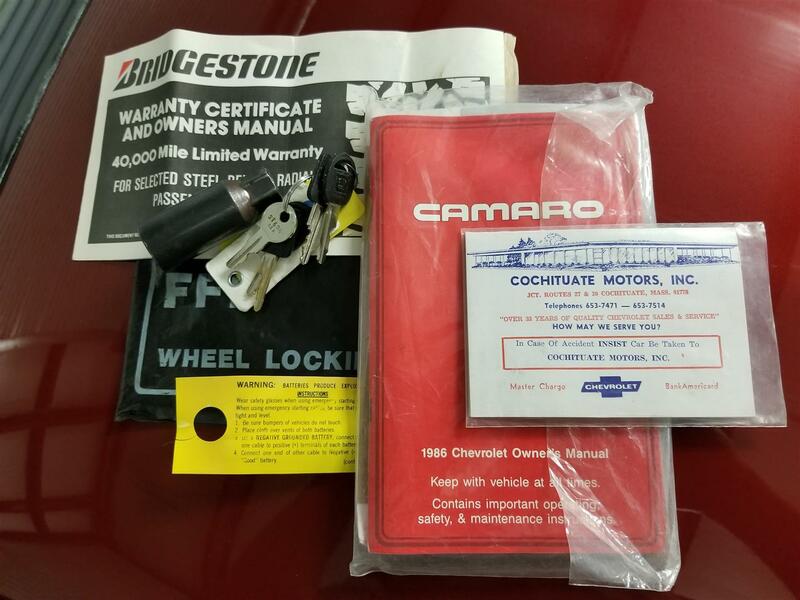 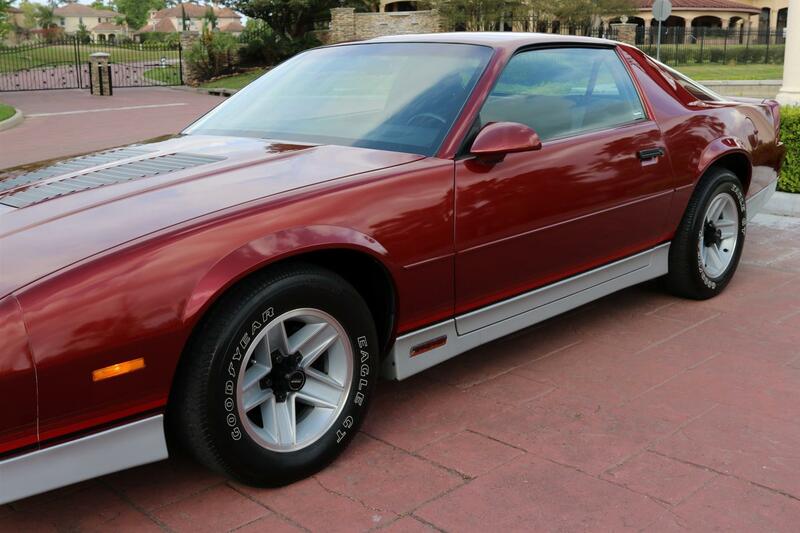 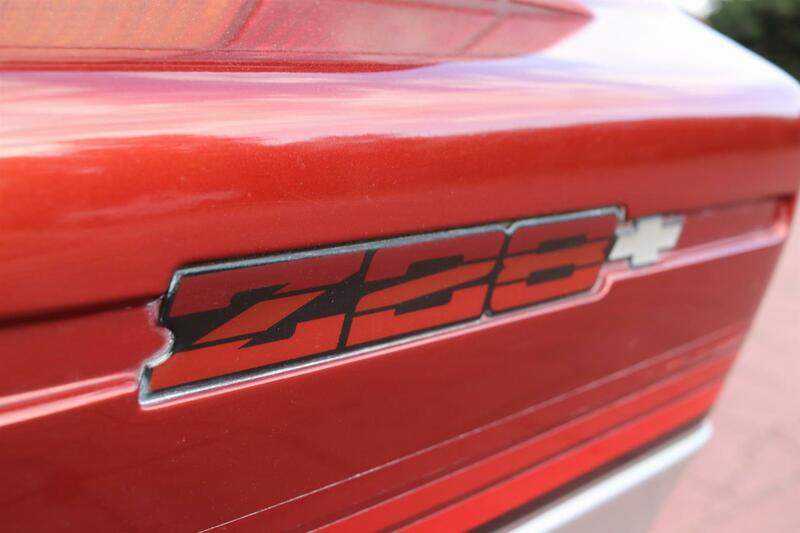 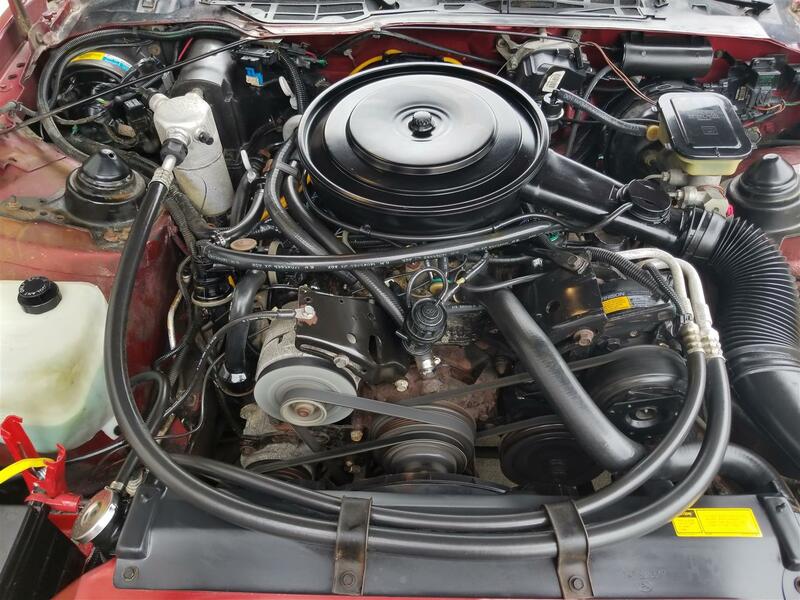 This beautiful Flame Red 1986 Z28 is one such vehicle that has been very well maintained and is ready to be the star of any 80’s vehicle collection. 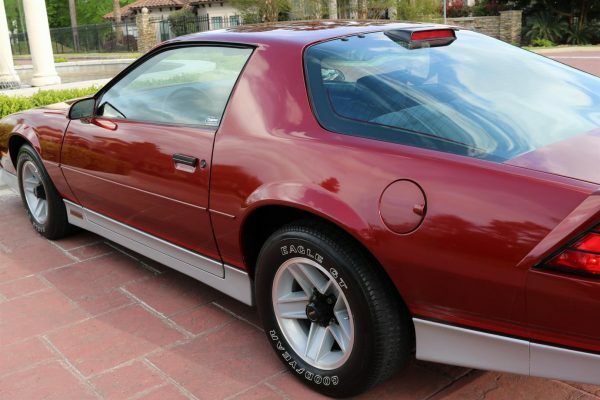 In addition to the stunning condition, this Camaro has just under 30k (Carfax verified) miles from new. 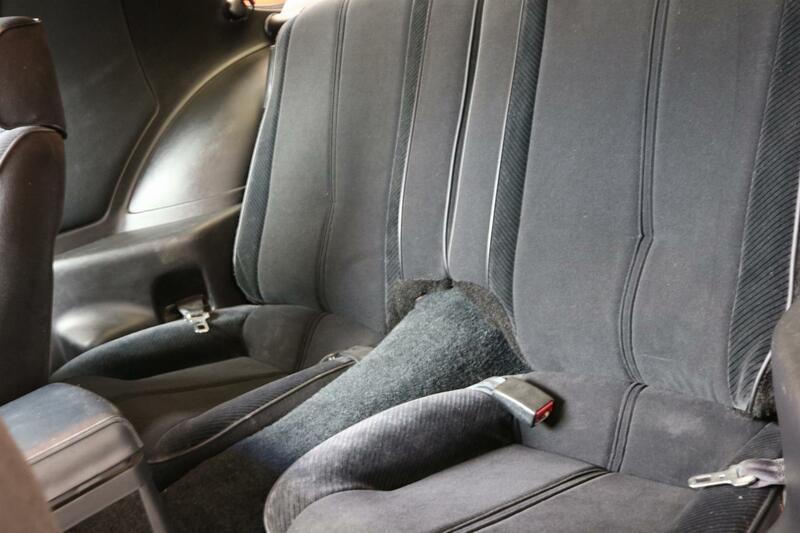 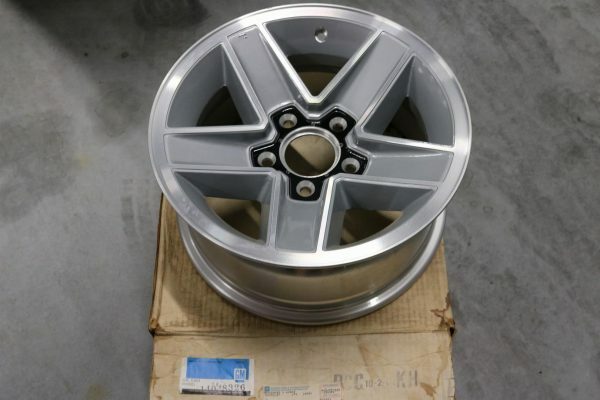 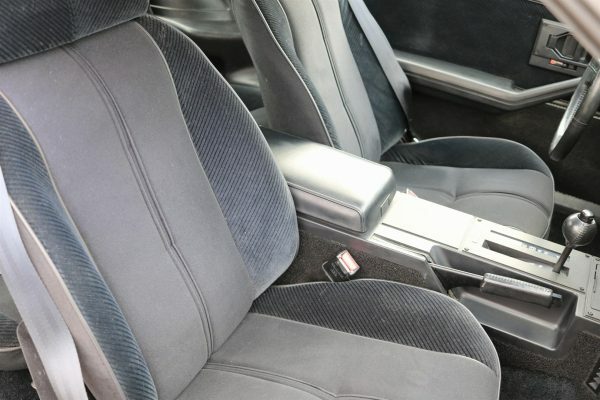 The gray cloth interior is 100% original and shows like new. 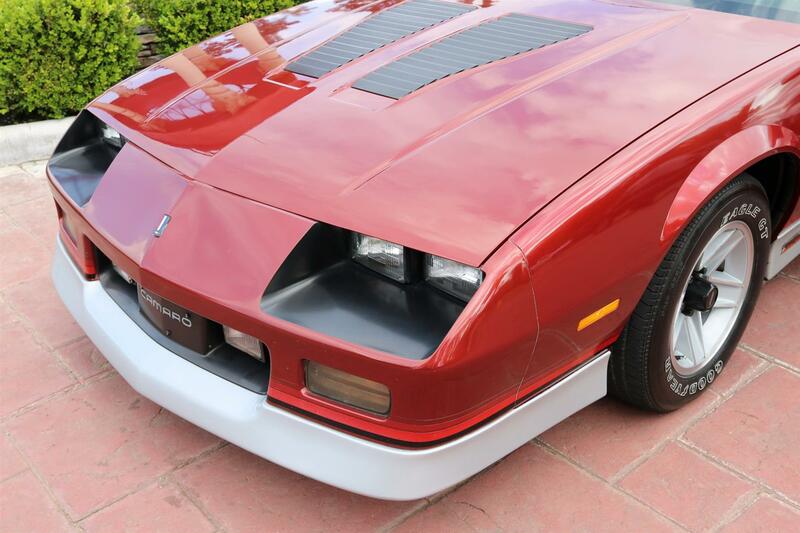 The exterior is equally impressive and we can assume it has seen a somewhat recent repaint to keep it looking this good. 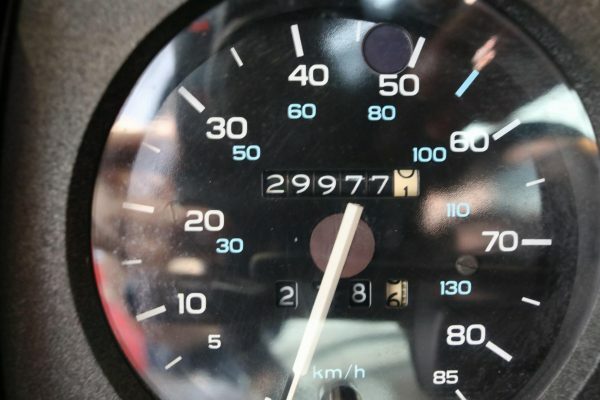 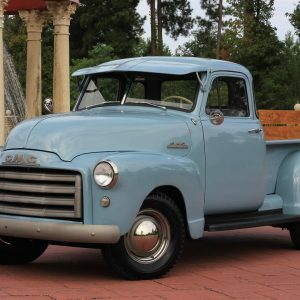 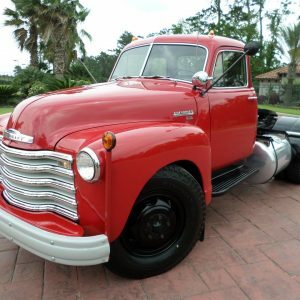 We have put very minimal miles on this Chevrolet but traveled enough miles to see that everything works as it should. 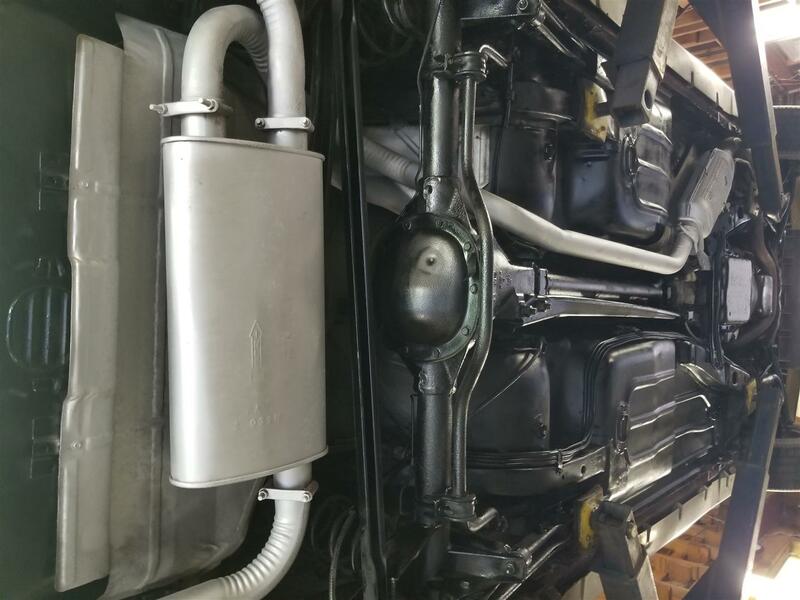 We found the hood and trunk shocks were getting weak so brand new shocks were installed. 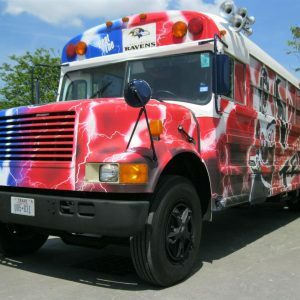 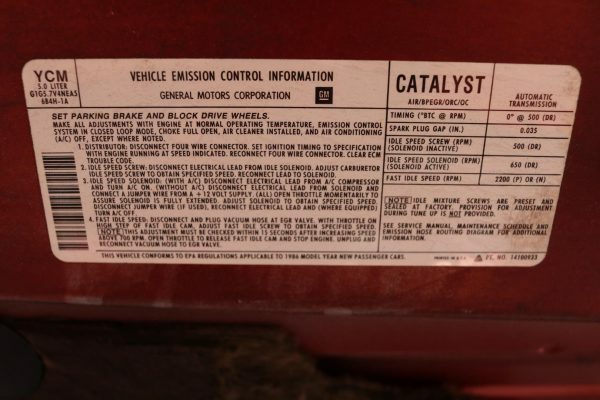 Features and options include; 305 V8, Auto w/OD, RWD, A/C, ABS Brakes, Original Bra, Retractable Cargo Cover, Center Console Storage, Rubber Floormats, Fog Lights, Original Owners Manual, Period Advertising Literature, Power Steering & Brakes, Power Mirrors, Power Closing Trunk, Rear Window Defrost, Spare Rim (new in box), Factory AM/FM Stereo, Tilt Wheel, Tinted Windows, 15″ Factory Wheels, and Thick Goodyear Eagle GT RWL Tires! 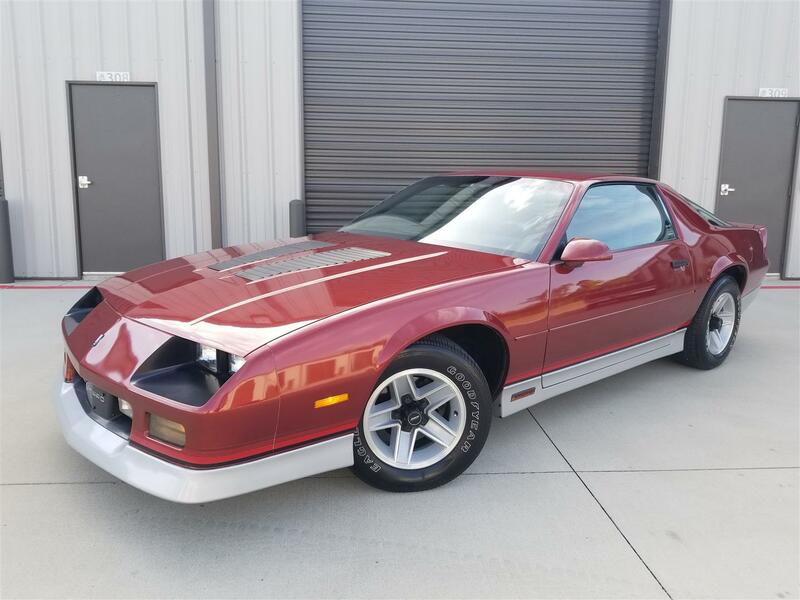 The experts at Hagerty currently values this vehicle at $18,500 and we are very proud to offer this example for only $14,900. 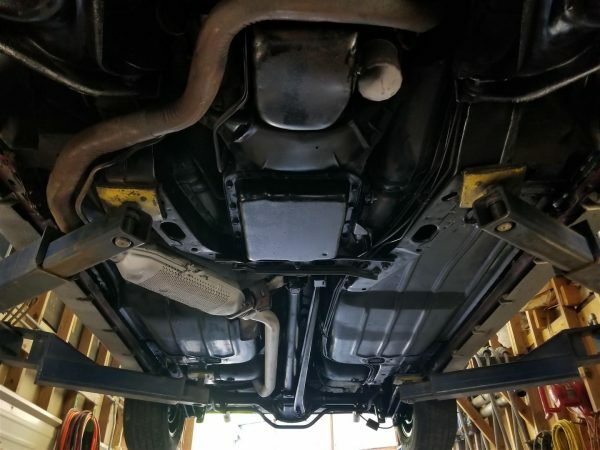 Don’t you wish you had purchased a low mile, original 1969 Camaro for under $15k? Let’s not repeat history by missing an excellent 80’s sports cars for under $15k when they are all $25k+ vehicles in a few years.